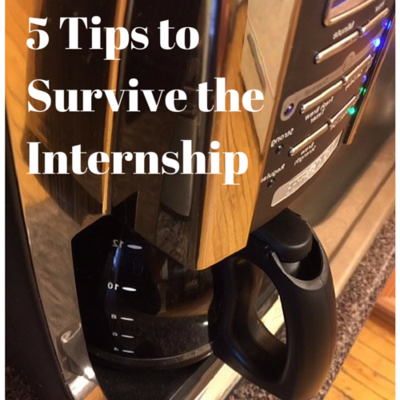 5 Tips to Survive the Internship | Challenger, Gray & Christmas, Inc.
“Internships are more important than ever, but not all internship programs are created equal. Many employers do not have any type of strategy when it comes to utilizing and educating their interns. In these situations both the employer and the intern lose. It is critical that young people entering an internship program take a proactive approach to managing and maximizing their experience,” said John A. Challenger, chief executive officer of global outplacement and business coaching consultancy Challenger, Gray & Christmas, Inc. While statistics about the number of internship positions held each year are difficult to come by, some estimates put the total between 1,000,000 and 2,000,000. Currently, there are more than 117,000 available positions listed on internships.com. Regardless, of how many Americans participate in internships, the importance of these opportunities to one’s career development should not be overlooked. A 2012 survey of graduates by the National Association of Colleges and Employers (NACE) found that 60 percent of those who participated in paid internships received at least one job offer. Meanwhile, another NACE survey revealed that 95 percent of employers said candidate experience is a factor in hiring decisions and nearly half wanted that experience to come from internships or co-op programs.